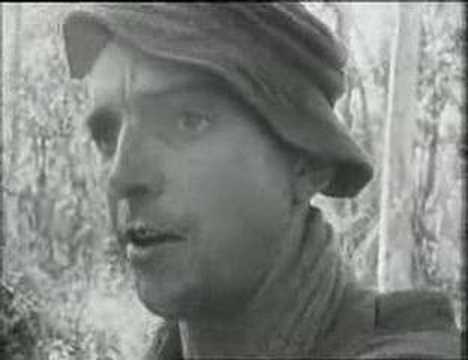 Da / From "Real Aussies"
This is about the Vietnam War. The "Light Green" refers to the area on a map of Vietnam. Dark green was an area where there had been no defoliants ("Agent Orange," for instance) and where there was plenty of cover. Light green meant it had been cleared, but there were likely minefields and probably Vietnamese around (because it had been cleared). The areas named in the first part of the song: Puckapunyal, Townsville, Shoal Water, Nui Dat and Vung Tau are all real places. Puckapunyal was a training center for army recruits. Townsville is a town in Queensland; Shoal Water was used for military training exercises, and Nui Dat and Vung Tau were Australian bases in Vietnam. The "SLR" is the Self Loading Rifle, the standard armament of Australian Infantry in Vietnam. "Greens" in the lyrics are simply camo uniforms. "Chinooks" are helicopters, or "Choppers," and VB is a type of Australian beer - it stands for Victoria Bitter. There's some dispute over whether the lyrics say "Asian Orange" or "Agent Orange." Either could make sense. The "Rash that comes and goes" was a common side effect of working with Agent Orange. It could persist until you died, basically. Being "Dusted Off" means an evacuation of a soldier due to medical reasons. "Contact" means, in this case, either that the soldiers had sighted an enemy or spotted a mine. "Hooked in there for hours" refers to grenades. "The Grand Hotel" was a hotel in Vung Tau that had been converted for Army use. ANZAC stands for "Australian and New Zealand Army Corps." "Pieces" are shrapnel. And can you tell me, doctor, why I still can't get to sleep? And night time's just a jungle dark and a barking M.16? And what's this rash that comes and goes, can you tell me what it means? And the stories that my father told me never seemed quite real-.